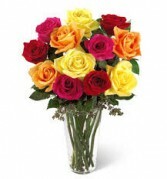 Our best selling rose arrangement! 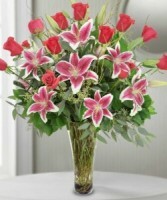 Premium Ecuadorian Long Stem Red Roses are combined with stunning Stargazer Lilies and fresh seasonal greenery and arranged in a clear glass vase. 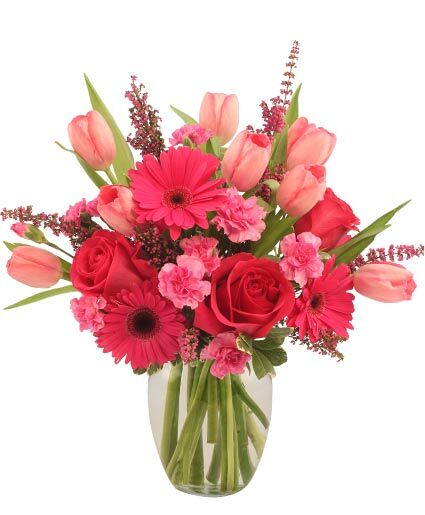 This is an amazing arrangement! 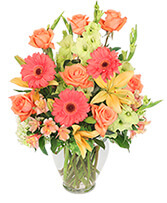 You can customize this arrangement and change the lillies to white and change the roses to any color!, We have roses in pink,yellow,peach,lavender.